Well, I’m a day late in posting my Monthly Holiday Card Stash series. Sorry about that, but I had a really hectic day yesterday filled with appointments and celebrations to attend, and I literally just ran out of hours in my day. So, this month I’m keeping it pretty basic. 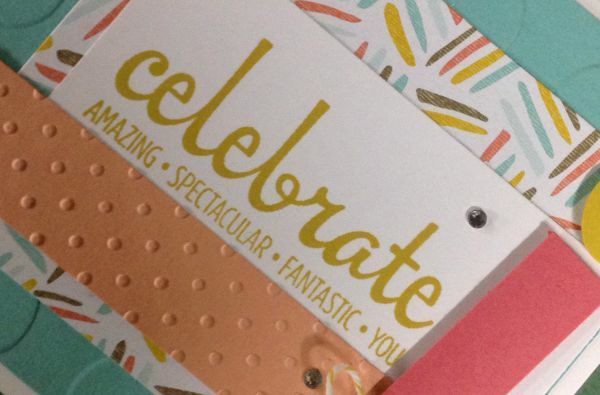 For months I’ve been coveting Stampin’ Up’s Mingle All the Way set. It’s been on the clearance rack for some time now, and each week I’d see it sitting there and think, I really want the Mingle All the Way stamp, but I’m not wild about the others. Do I really want to pay $14.99 for just that one stamp? And, my answer would always be a resounding NO! Can you believe it, we are just 6 months or 19 Fridays from Christmas? How does the time fly by so fast? I still remember those days when I wished I was older, now I don’t wish that any longer. I want my days back as a youth, and for time to stand still for awhile! 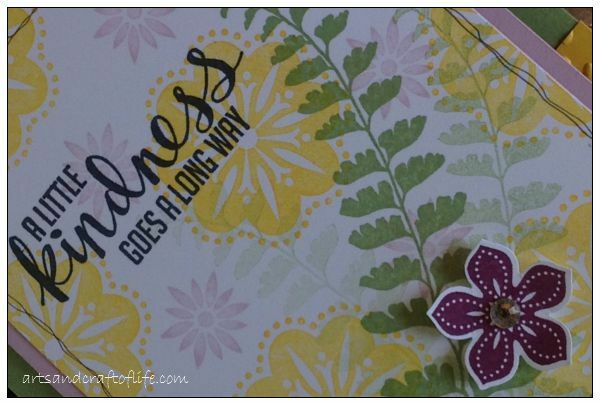 With getting back into stamping more and perusing the ‘net looking for all the great ideas that are out there, I happened to land on a website/blog I had never visited before. And, boy did I lose track of time wondering around her site. Have any of you ever visited Catherine Pooler’s website? It’s phenomenal, and quite the inspiration (in more ways then one). I lost track of time looking at all her fabulous ideas and watched several videos on techniques and various card layouts. In fact came across two I marked down to do as part of my holiday card series, I liked them that much. Sorry for the lengthy absence in between posts. It’s been a little crazy at work lately, and my free time seems to get sucked up with me doing more work from home or I’m just too tuckered out to play. I have though been progressing in getting my monthly holiday cards ready, in fact I’ve designed all the cards through September, now it’s just a matter of going back and making the 10 cards for each month and then take photos and set up the blog posts. 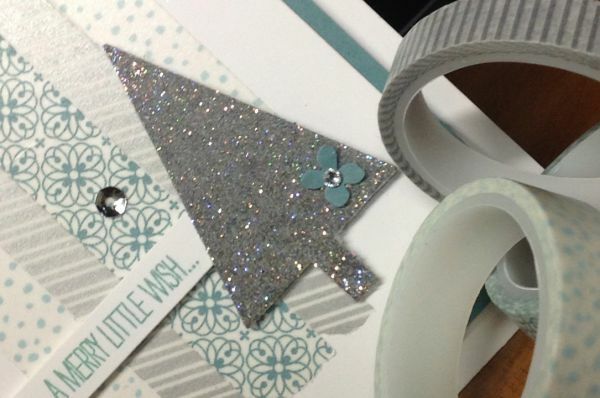 But it’s so exciting to know I will have my holiday cards all done this year. And most importantly, way ahead of schedule. So stay tuned…Thursday the 25th is reveal day!! As I was putting together my glitter tree tutorial, inspiration struck again (rarely, does it strike twice in one night). I don’t know about you, but when it comes to the holiday season, I have all these great intentions of getting started early, yet I rarely end up doing so. 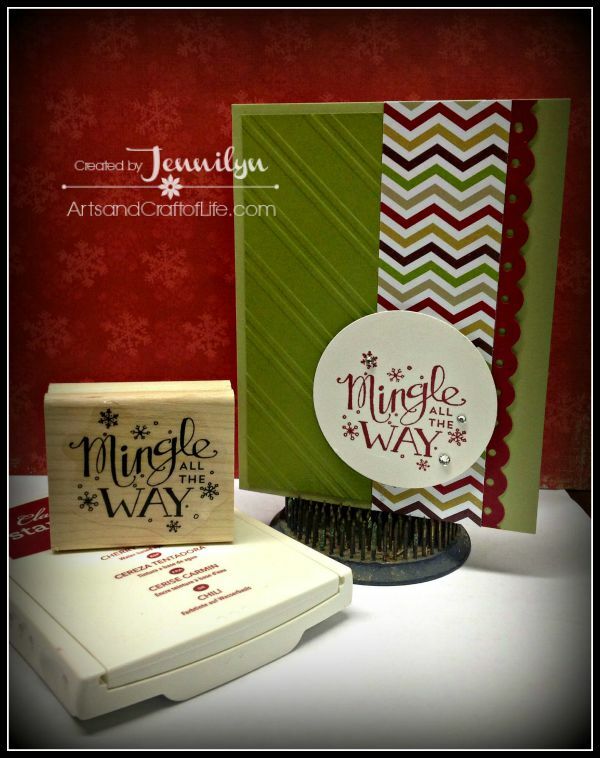 But, tonight as I was putting the final touches on the card I was creating, I thought to myself, why not design one Christmas card per month and then create multiples of the same design. If I do this each month from now until September, and make 10 cards each month, I will have a nice little stash of Christmas cards to mail out for the holidays well before December 15th (my usual mailing date, if not later, and some years not at all). So, to keep me accountable, I decided to put a monthly Holiday Card Series together and post it on the 25th of each month. 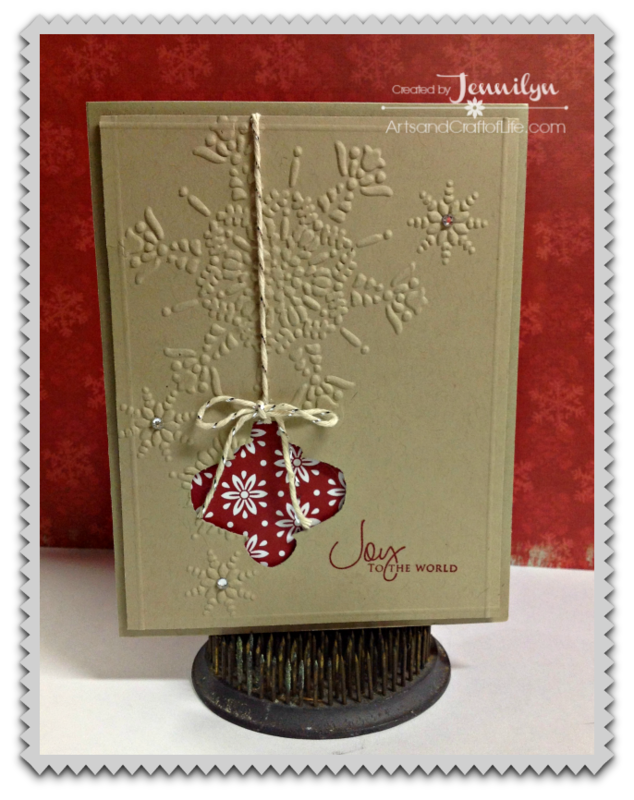 I’m sure many of you are just like me – you’re surfing around the net, checking out your favorite blogs, and you come across a card idea you really like and it gives you inspiration to create the same thing or something similar, but lo and behold, you don’t have just the right supplies as your inspiration piece. What do you do? For the most part, we run out to our favorite hobby store to purchase said items or hop online and place an order and express ship it, so we can get to creating right away. Am I right?